First Look At The HTC Proto. Will HTC Unveil This Phone At IFA? We’ve heard a lot of depressing news about HTC over the past weeks, and I’m glad that I finally have some good news coming from HTC to share with you guys. The Verge has managed to get their hands on pictures of a sharp looking new device called the HTC Proto (not the retail name), which appears to be a device that's slightly more powerful than the One V. Not only that, but it’s speculated that HTC just might unveil this bad boy at IFA next week. What I love love love about the picture of this phone is that it seems HTC went back to their roots. 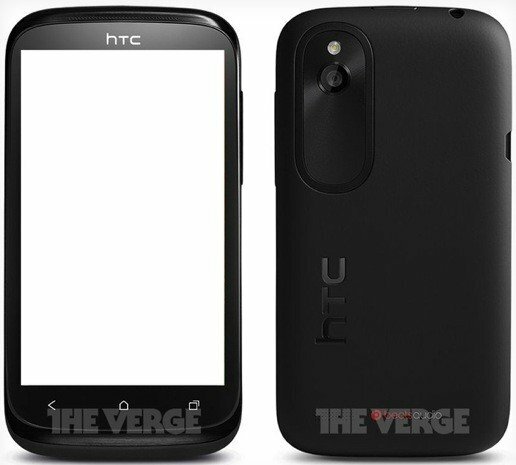 It looks very much like an HTC Sensation, only sleeker and even more premium looking (from the pic anways). I originally thought that this might just be an HTC Nexus device, but the 3 physical buttons on the bottom kill that theory, as stock ICS and Jelly Bean use on screen buttons (having 3 physical buttons below the 3 virtual buttons from ICS and JB would just look silly). HTC just might release the device at IFA next week in Berlin, and as reports indicate that HTC plans on cutting the prices of their future devices to compete more effectively with Apple and Samsung, you might just be able to get your hands on it for a very low price. If HTC were to sell this at the 300 - 350 dollar price range, I could DEFINITELY imagine people picking it up. Display is too small for my liking, but this could be a solid entry in HTCs lineup if priced properly. True. If it goes for a low price (which HTC claims all of its newer devices will), this could be a really solid mid range phone that I could honestly see consumers liking. It does look a lot like the Sensation, but I LOVED the Sensation, which is why I guess I like it. But yeah, it would be nice to see HTC experimenting more with shape and design. @Patrick - LOL. Sadly enough though, the outcome of the Samsung VS Apple case today shows that Apple can get away with that BS. Seriously though, based on the current GNex, the capacitative buttons disualifies this as a nexus device... i think. Good that they are so innovative when times are bad.